You’ve long dreamt of exploring the many facets of the Costa Brava? 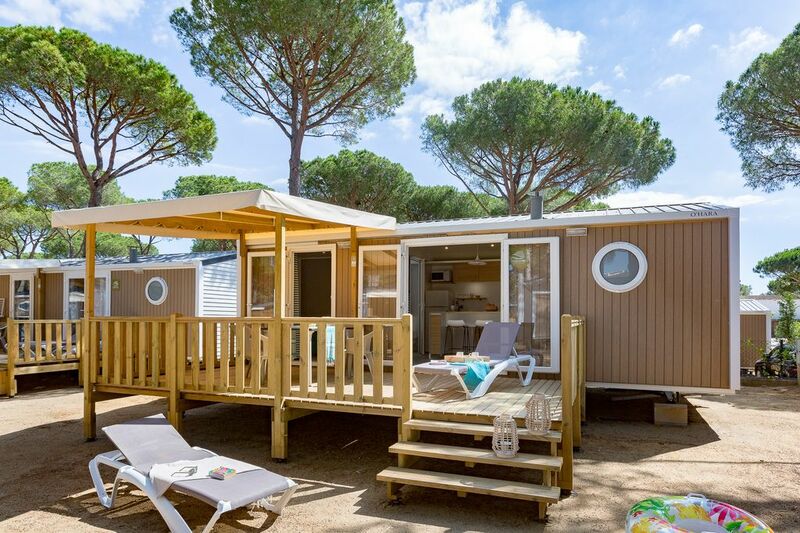 Book your mobile home for 4 holidaymakers, equipped with all you need and set amongst the shady trees of the Cypsela Resort campsite! Push open the door to discover the master suite for the parents and separate bedroom for the children, the modern kitchen and the convivial sitting room area. Whatever the time of the day, everyone can get together for a relaxing moment on the terrace before jumping into the swimming pool or diving into the crystal waters of the Mediterranean!